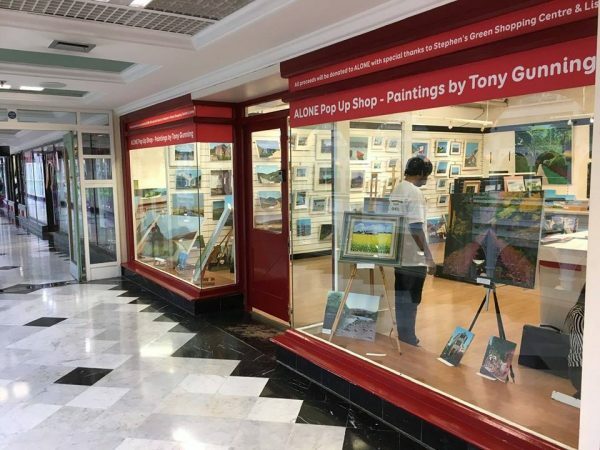 ALONE have recently opened a pop up shop in Stephens Green Shopping Centre. 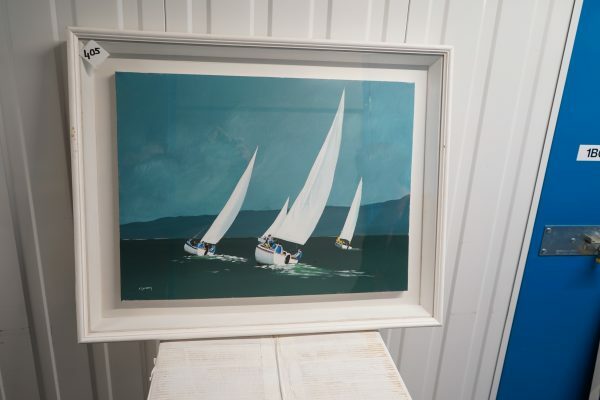 The shop contains over 400 paintings by the artist Tony Gunning. 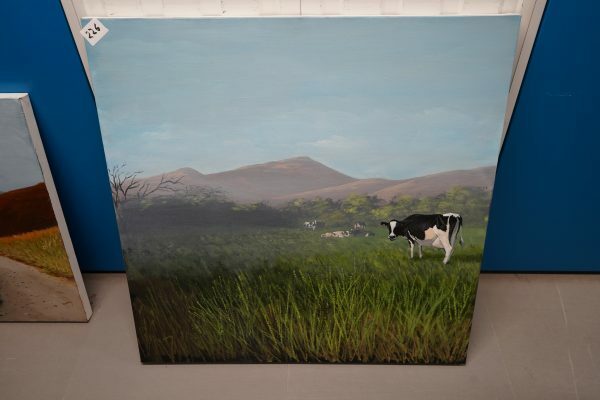 Tony donated these paintings with all proceeds going towards ALONE’s services. The shop space was also donated by Lisney and Stephens Green Shopping Centre. A huge discount has been applied to all the paintings, with prices starting from €20. The shop is on the top floor of Stephens Green Shopping Centre, nearest the main entrance. 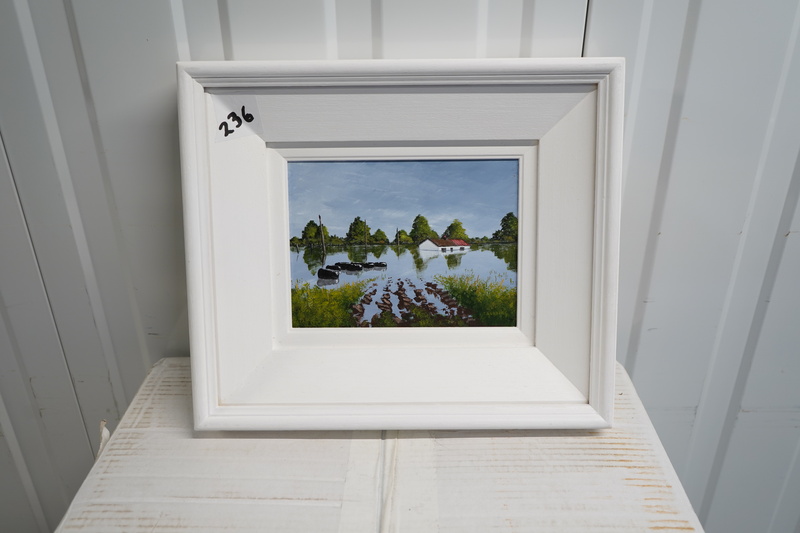 See photo below: Unit 214. If you are available to volunteer regularly in our shop or want to do a couple of days in November/December, please email fundraising@alone.ie. Volunteers are welcome any day Monday to Sunday. All volunteers must speak good English. 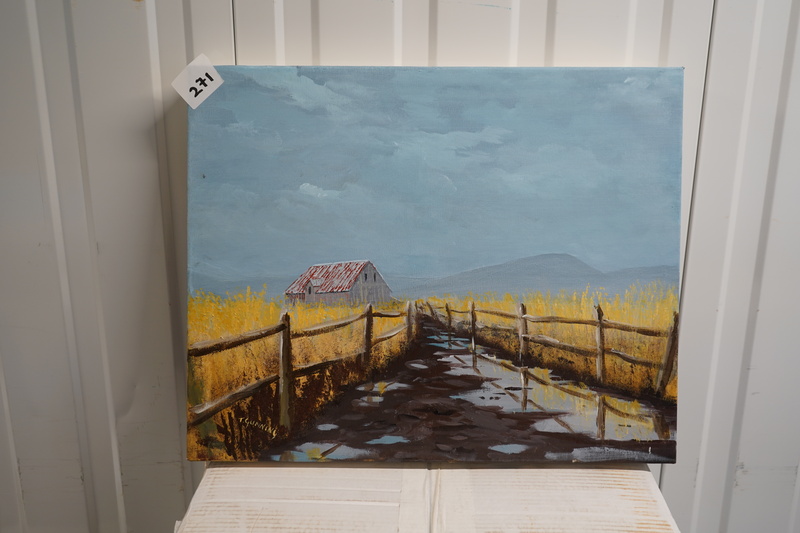 Check out below some of our many paintings in store. ALONE are holding a bag packing day on Saturday the 20th of October in SuperValu Dun Laoghaire. We are looking for volunteers to help for 2 or 3 hours between 10am to 6pm. This will include packing bags at tills and holding buckets. 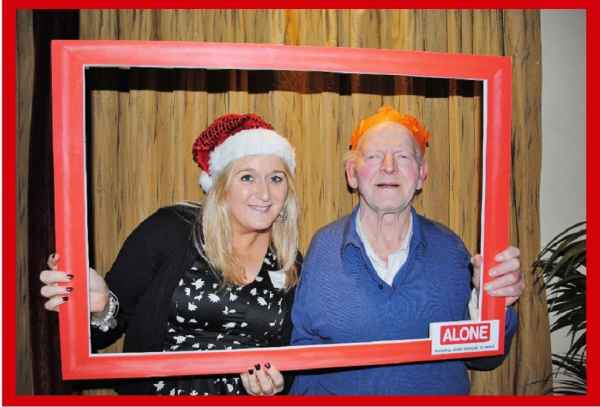 If you are interested in helping out email Fundraising@alone.ie with your name, number and the times you can volunteer between. Registration for the VHI Mini Marathon is now open! We are looking for people to take part in the VHI Mini Marathon in aid of ALONE. This year the marathon takes place on Sunday, 3rd of June at 2pm. 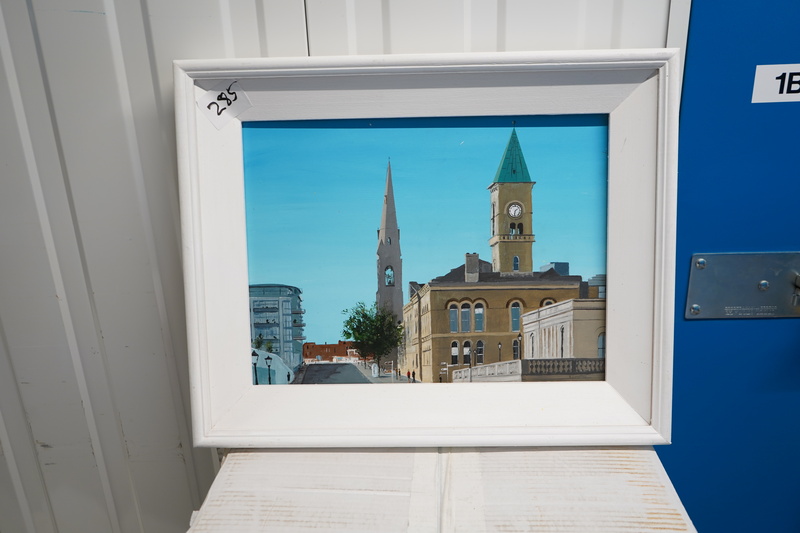 The 10km walk/run will start at Fitzwilliam Place, Dublin 2 and finish on Pembroke road. To take part in the event, register at https://www.vhiwomensminimarathon.ie/ and email Fundraising@alone.ie to let us know your registered. That way we can send you out your sponsor cards and T-shirts! Check out our video below, where Amy explains how she got involved in the VHI Mini Marathon, why she choose ALONE and how she sponsors. Advancements in technology, charities and older people aren’t always things you think of in the same sentence, but ALONE is changing that. Since January 2017, ALONE has worked in partnership with NetwellCASALA on a technology project that will enhance the lives of older people. Through this partnership we have developed a technology platform that allows an older person to be more proactive in their health and well-being. The platform consists of a BSafe home sensor package, a BWell app, a BFriend app, and ALONE’s Management Information System (MIS). The platform can be customised depending on the person’s desires and needs. The aim is to enable a community-based approach to ageing at home. That means if someone has a fall in the house, telecare would be alerted. Or if the person isn’t leaving the house as much as usual, we would be prompted to check in with them. The BWell app focuses on all areas of social interaction in the older person’s life as well as their mental, emotional, and physical health. The power is put into the hands of the older person to record their activities, review their data, manage their appointments and medications, and communicate with their support networks. BFriend is an app available to ALONE staff and volunteers who work directly with older people. 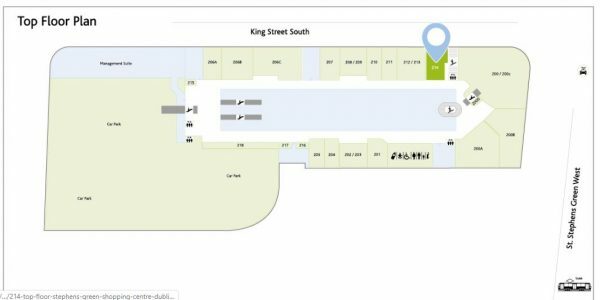 This app allows both groups to log their visit details, ensure quality of service with a history log, and keeps volunteers and staff safe through location sharing during visits. It also allows staff and volunteers to report any concerns they may have about the older person, in real time. ALONE’s MIS is our main data hub, which has been customised to meet the organisations needs and processes using the highest level of data security. It connects all of the apps to give us a comprehensive overview of an older person’s needs in real time. Our MIS is high quality and low cost, and available for use by befriending organisations, community groups, and housing providers. Five external organisations are currently piloting our MIS with plans to expand that to 75 organisations within 3 years. 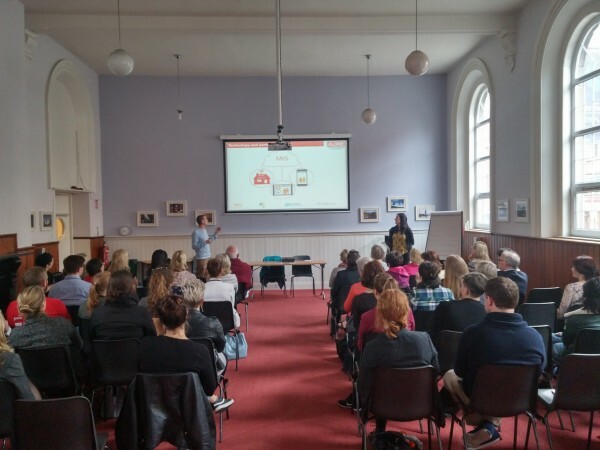 This brilliant advancement in technology and service at ALONE is the result of a THINKTECH grant received through Social Innovation Fund Ireland in association with the Department of Housing, Planning, and Local Government and Google.org. We’ve all been there—wanting to volunteer but not really sure how. 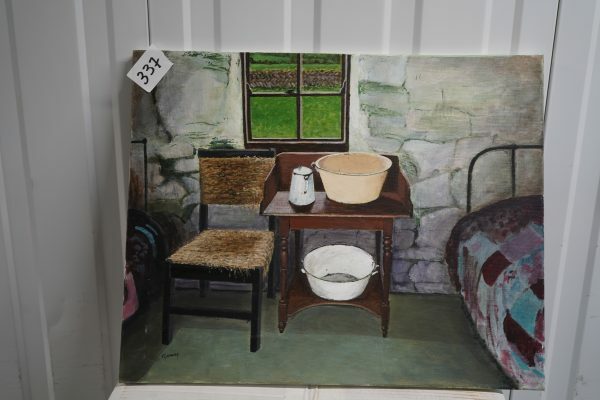 Where to begin and where to concentrate your efforts when there are so many places that could use volunteers in Ireland. If you’re looking to provide companionship to an older person in your area, joining the Befriending service with ALONE is the place to start. We hold an Investing in Volunteers award and are the only place in Ireland to hold a Quality in Befriending award. 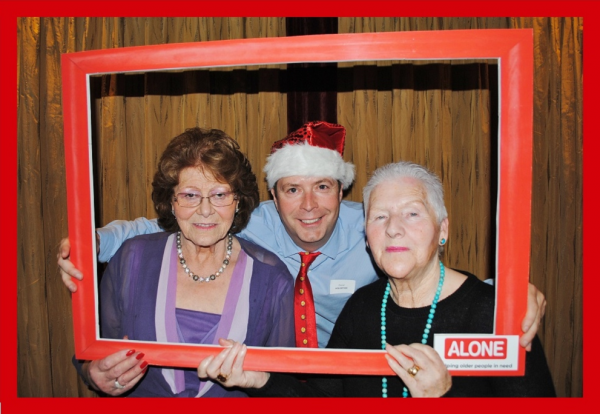 So, what’s involved when you volunteer with ALONE? First, take a look at our website—see if you like what you see and if it’s something you’d be interesting in doing. After that, successful applicants will be contacted to come in and do two hours of training where we go through details of how volunteering with us works. We’ll then run a Garda vetting and check your provided references (of which we’ll need two). All going well, we will then pair you up with an older person. Keep in mind that depending on the location you’re able to visit as well as the need in the community, the matching process may take a couple of months. We ask that you commit to visiting the older person at least once a week for one year. The two presenters were very good and opened up a discussion in a natural way. I feel ready to move onto the next stage and meet my befriended. You’re truly part of the team when you decide to volunteer with ALONE—you have direct access to us and we provide support every step of the way. We’ll accompany you to your first visit and follow-up regularly to make sure you and the person you’ve been paired with are happy. The population of people over 65 in Ireland is 13.2%, representing 642,000 people. One in ten older people suffer with chronic loneliness, which can be as damaging to health as obesity and smoking. 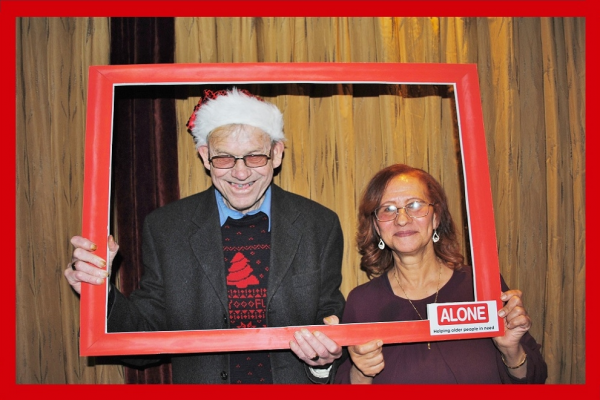 ALONE is here to help the older population live their lives the way they want—you can be a part of changing an older person’s life and helping them age at home. Dublin, 6th December 2016 ALONE, the charity that supports older people to age at home, has today launched a video showing the positive impact of befriending for older people. 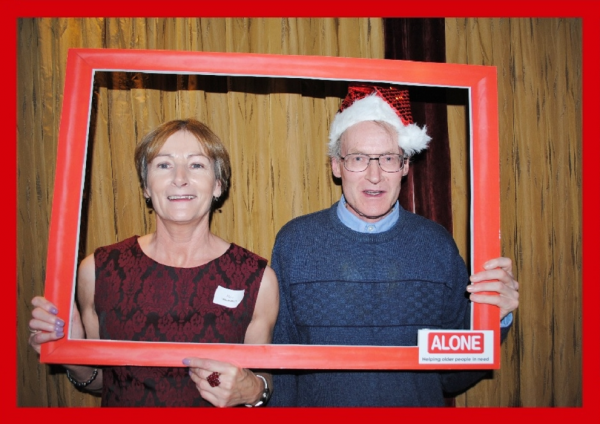 In the video a number of older people, who avail of ALONE’s Befriending Service, thank their volunteers who have made a huge difference to their lives. In Ireland, one third of older people live alone. 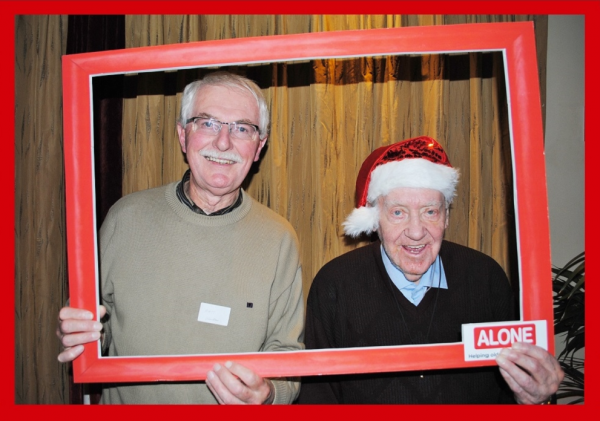 ALONE’s Befriending Services provides companionship to over 500 older people who are socially isolated through a weekly volunteer visit as well as a range of social events. 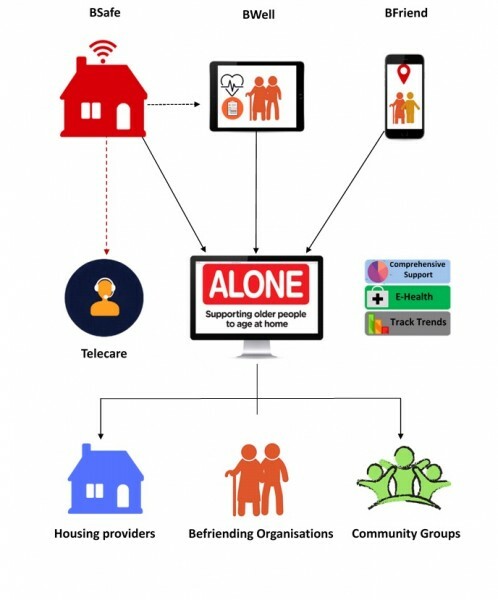 ALONE are continually developing the service to ensure that all older people who require it will have access to a quality assured befriending service. 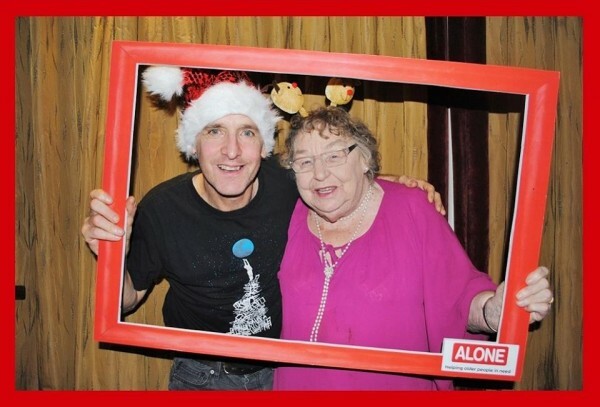 At Christmas, ALONE’s activities include; the organisation of 500 volunteers who visit older people each week, a Christmas dinner dance for older people and volunteers, the delivery of 500 Christmas hampers to older people in need and a special Christmas Day dinner delivery for 100 older people. For those who have concerns about their own wellbeing, or the wellbeing of an older person in their community, ALONE can be contacted on (01) 679 1032. 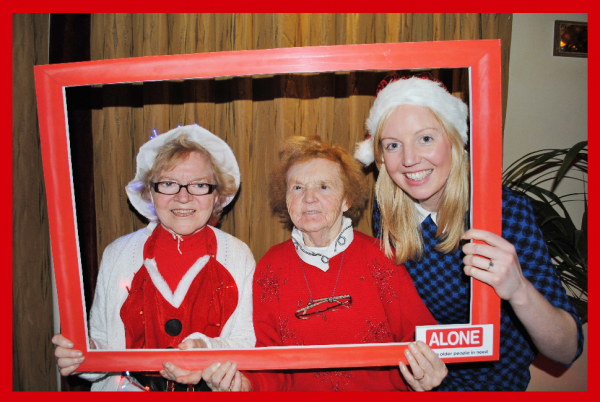 To make a donation and help aid ALONE’s work this Christmastime visit www.alone.ie/donate . The 12 Volunteers of Christmas. Jeremy has been Colette’s befriender for an impressive seven years. Colette was first introduced to ALONE fifteen years ago when she accompanied her best friend of 45 years, Carmel, to the annual ALONE holiday. Colette first began feeling isolated when her twin sister passed away, and the loneliness grew deeper when Carmel passed a year later. Colette was then matched with Jeremy, who had been Carmel’s befriender. The two grew close and enjoyed laughing about their fondest memories of Carmel over a cup of tea. Although Jeremy has a family and works as a carer, he knows how important it is to make time to visit Colette. 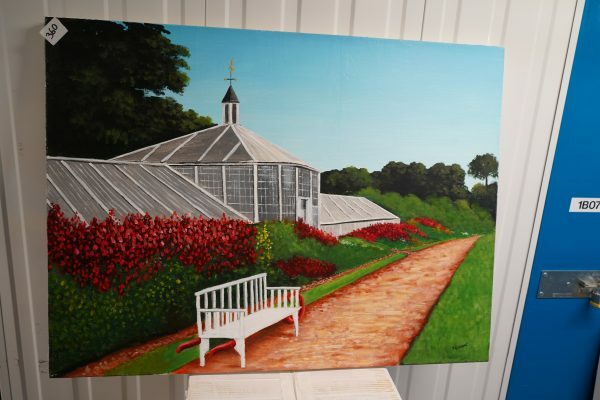 The pair love to chat over a cup of tea, and when the weather is nice they visit the Botanic Gardens. 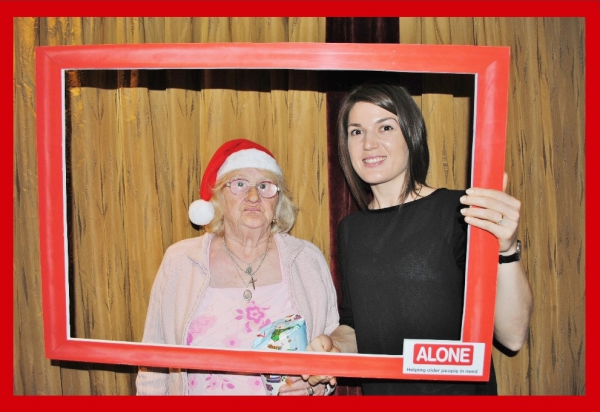 Volunteering with ALONE has really opened up Sarah-Jane’s eyes, “I didn’t realise that there are so many older people on their own”. Although only getting involved in the Befriending Service since the beginning of summer, Sarah-Jane admits she would really miss Noel if the visiting ever stopped. Noel is grateful of her companionship and thinks she’s a “lovely, cheerful” girl. Sarah-Jane is proving her friendship as she plans to surprise Noel with a ‘Christmas evening’ in the next few weeks, where she will bring some food, Christmas crackers and presents. ALONE look forward to hearing about how the surprise will go! Although only matched in May of this year, Matthew has a lot to say about Fr. Brendan, 90. Fr. Brendan lives in Inchicore, however he has been around the world during his youth. Matthew describes Brendan as an “extremely interesting” man, and he enjoys listening to stories of his time in the priesthood. Even at ninety years old he still has the “memory of an elephant”, as Brendan was Greek and Latin teacher in Wales for seven years. Matthew helps Brendan out with small errands, printing letters, fixing his computer etc. They enjoy going for walks together and attended the Volunteer Ireland award ceremony 2015 last Wednesday, where ALONE received the ‘Investing in Volunteers Standards Award’. Helen and Mary have been matched since May. Mary admitted she turned down the chance to meet Helen a few times while her husband was in hospital as she found it too difficult. After her husband passed in April, Mary agreed to give the Befriending Service a chance. She recognized Helen from when she used to help ALONE give out the Christmas hampers to older people, and was happy to finally meet her. Ever since they were matched, Helen has been a “marvelous” companion to Mary. Helen and Mary often go for long walks with their dogs, Dolly and Stella, who also have become best friends. Helen went with Mary to buy a plaque in her late husband’s name and will accompany her to visit his grave in a few weeks’ time for Christmas. Mary is very grateful of Helen’s kindness. Irina loves the feeling of being an ALONE volunteer. She has a busy lifestyle as a full time student working part time, but that doesn’t stop her from visiting Phyllis, who she now calls ‘my granny’. The two keep in touch regularly, talking on the phone as well as the weekly visits. ALONE would like to wish Irina the best of luck sitting her exams this week. We know you’ll ace it! Donal was matched with Marie and Noelene, 70 just six weeks ago. 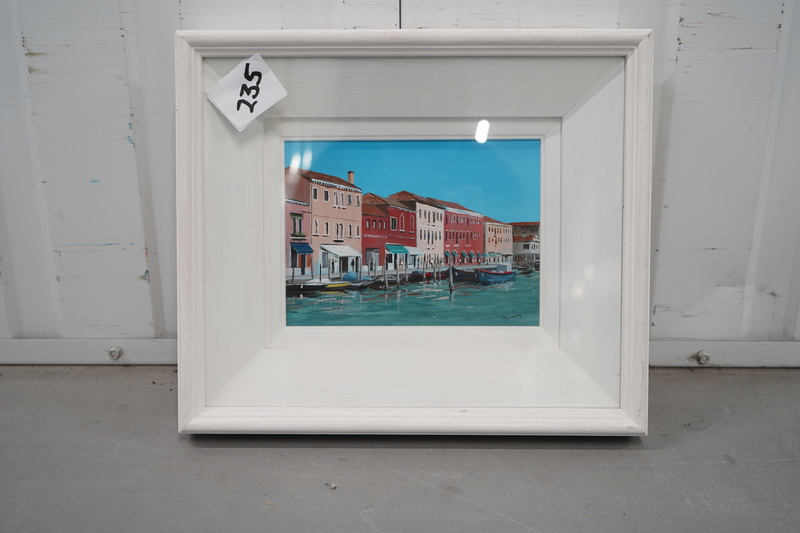 Noelene is from one of Dublin’s most historic neighborhoods The Liberties, while Marie lives in the picturesque suburban town Malahide. Both woman have different hobbies that Donal enjoys joining them in. Ever since Marie developed back problems, she was weary of going outside. She is less nervous about going out now that Donal is there to support her as she gets around. Noelene is fond of walking Donal’s two dogs Milly and Wiman with him, and has grown particularly close to Weeman. Ever since her son moved to London, Noelene grew more and more lonesome. She looks forward to her weekly visits from Donal, who is a “nice man that chats away” with her. Mary has been visiting Ken for three years. 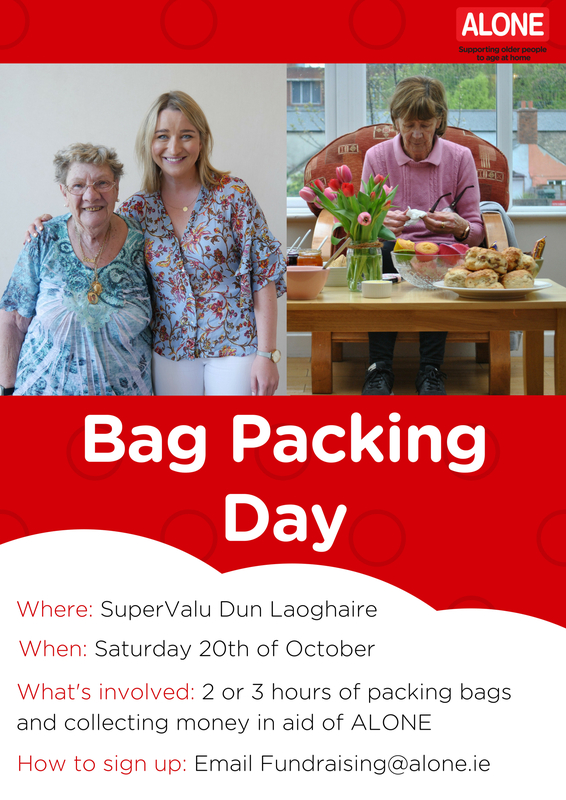 Every Wednesday evening they enjoy talking over a cup of coffee, and Mary regularly helps Ken with his grocery shopping in Blanchardstown Shopping Centre. Ken spends his time listening to music, particularly the Beatles and getting stuck into a good book. Mary brings him to the local library every couple of weeks to take out a few books. For the past three years Jacqui has made sure to visit Isobel in her home every Monday to sit and talk. Isobel admits to feeling “very lonely” sometimes but ever since she’s been matched with a companion as reliable as Jacqui she feels much better. The feeling is mutual with Jacqui, who says Isobel is a “very interesting woman. She’s 92 but is always right on the ball and enjoys watching lots of sport”. Jacqui is another long-term volunteer who “absolutely, whole-heartedly” recommends getting involved with ALONE’s Befriending Service. John (69) has been matched with Dave just over a year, and the two have fun memories together already. The two often go on trips to Ikea, where John helps Dave buy things for his home as he admittedly has a bad style. 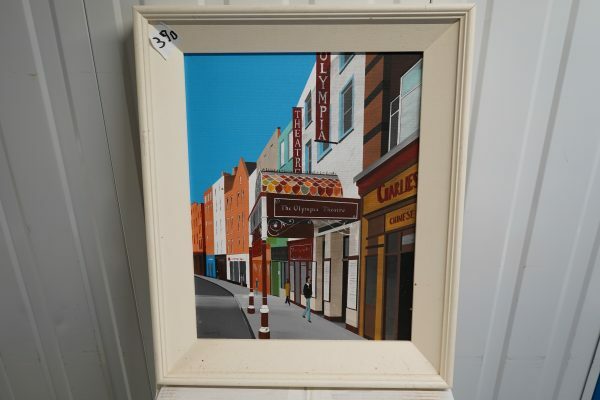 Dave and John also enjoy going to the Laughter Lounge for gigs and long walks in Howth. Dave and John now share a “good bond and friendship” and plan on joining one another for a Christmas meal in the next few days. Veronica has been visiting Donal for the past six. Due to health issues Donal has limited mobility, and Veronica goes out of her way to make sure he feels secure and happy. She often comes in after work for a chat over a cup of coffee. On Saturday Veronica takes Donal shopping, they buy groceries and at the moment Veronica helps him buy winter clothes for December’s stormy weather. Every Sunday Veronica collects the newspaper for Donal as he likes to keep up to date on current affairs. 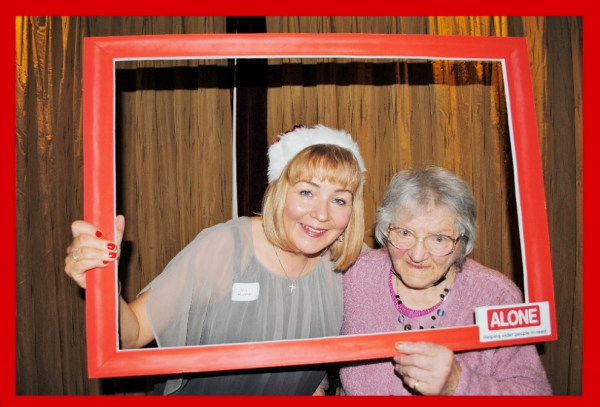 Veronica has recently been matched with Laura, another older person in the Befriending Service. 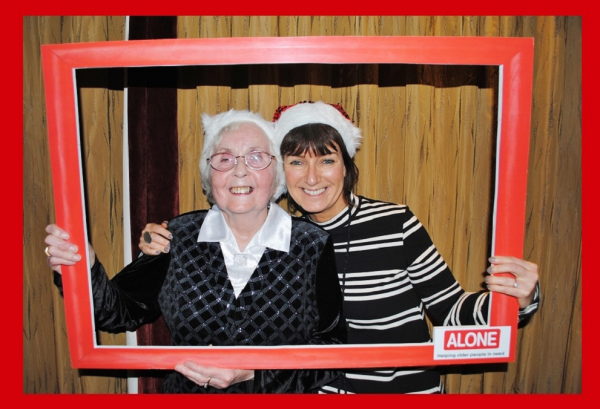 ALONE would like to thank Veronica for all the work she’s done for the past six years, and we would like to wish her and Laura luck in the future. Over five years ago Margaret was matched with Fiona. Fiona would often meet Chrissy, Margaret’s older sister during her visits. Chrissy and Fiona really enjoyed their time together, and when Chrissy looked for a befriender Fiona did not hesitate to offer visiting the two sisters each. Margaret owns two “gorgeous” cavalier King Charles dogs. Shanty, the older dog has own over ninety rosettes at just three years olds! Margaret adores her dogs, but admits feeling quite isolated living alone. Growing up, Fiona was very close to her Granny. This inspired her to get involved in helping older people in need. “The wisdom that older people can provide is not to be underestimated! Befriending is a simple way to ensure that the older person in our communities are looked after and are given the respect they so rightly deserve”. Fiona’s relationship grew stronger with the two sisters when she started regularly visiting Margaret during her time in hospital. Fiona then proved that she “is not only a volunteer, she is a very, very good friend.” Margaret, Chrissy and Fiona have become very close, from having lots of laughs, to seeking serious advice off one another. Margaret and Fiona are planning a small get-together for Chrissy’s 80th birthday later this week. ALONE would like to congratulate Fiona, who got engaged last month. We wish you and your fiancé the best of luck in the near future. Our 12th Volunteer of Christmas is YOU! Every year the number of older people looking for a befriender grows immensely. 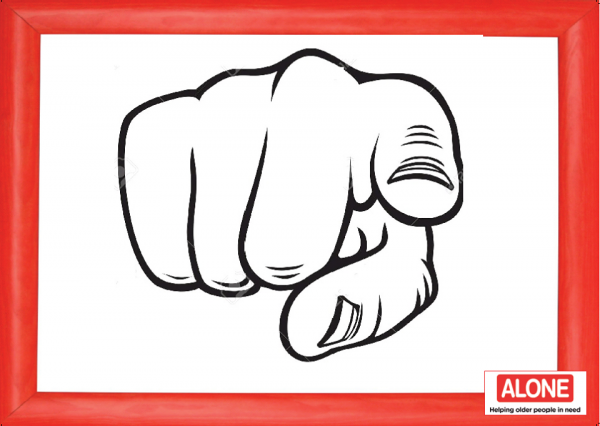 This year we ask YOU to get involved and become a volunteer. As you can see from these real life experiences, volunteering for our Befriending Service creates a positive impact of your life and the older person’s life and great friendships are made. 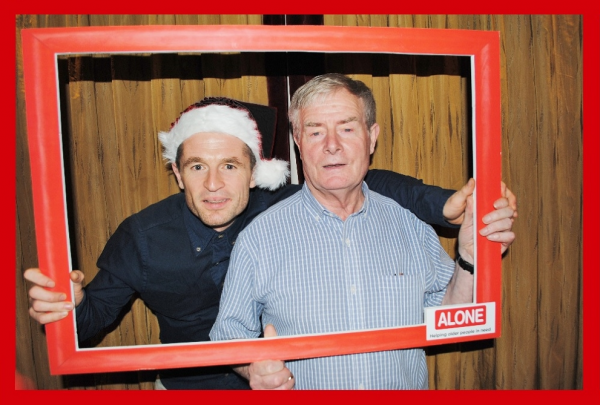 From everyone here at ALONE we thank all those who have volunteered, donated and helped our charity. We hope you all had a very merry Christmas and wish you a happy new year.